It is a nice, cool and sunny day. Then why are you feeling anything but sunshine? Why do you feel the darkness of the blues? Do you recall how long you have been feeling this way? You may or may not remember. Sometimes feelings like this have a way of sneaking up on you. You are probably wondering, feelings like what? And I am so glad you are. First, there is something important I want you to know. This isn’t something that is just in your head. Even if you can’t explain it or when you try to share your feelings with a friend or family member and they dismiss you (not intentionally), that gloomy feeling that makes you want to close the blinds and get under the covers on a sunny day is real. Seasonal Affective Disorder is “a type of depression that comes and goes with the seasons” (NIH). You see, there is an explainable reason for your mood! Of course, you would want to see your doctor for a diagnosis. If you are diagnosed with SAD, there is hope in knowing that help is available. In case you are thinking that visiting a doctor for something as a mood swing or acute depression is not worthy (which it is), many individuals feel the same way. I strongly encourage you to reach out for help because it is available. If you have a confidant, great! Let them be an active part of your support system by picking up the phone and calling or texting them. I have learned that when it feels like I’m the only one in the world hurting and that no one cares, it because no one knows. Silence in the midst of pain, is not helpful. If you feel as though those close to you cannot relate to you or will judge your emotions, you have the option to anonymously talk to someone who will not judge you for being honest about not being your true self at the moment. How do you talk to these non-critics? Right now, I hope you are starting to feel much better than a few minutes ago. If not, it is okay. You will get back to a place of enjoying the sunshine soon. It does take one day, one hour and one step at a time. I’ve been there so many times. And you know what? No matter how many people consider me a mental health advocacy expert, I still have my days too. Heck, just this week, I was happily saying, “Goodbye Spring Break and Hello Monday” because two cuties had nearly worked my last nerve! And today, I’m able to peacefully smile and enjoy the scene from by opened blinds. Why? Because thank God that emotional roller coasters eventually come to an end. I’m hopefully excited about what a new day brings. GOD, our amazing Creator, specializes in doing something brand new in our lives. Yes, we will have our ups and downs. But there is hope in knowing that GOD has something different, something that we have yet to experience waiting for us. On this first day of Spring, I pray that you will not beat yourself up about not feeling your best. I pray that you allow yourself to feel and heal by forgiving yourself. May you reach out and receive the care you need. May you find joy even in this day and remember that things will get better. For like seasons, this too will pass! I declare this in Jesus Name, Amen. 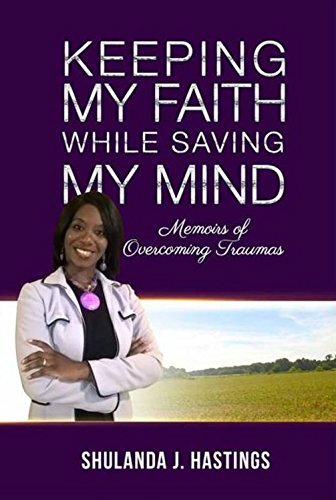 Check out my Parenting Blog and book, Keeping My Faith While Saving My Mind. Need help? Consider joining a Support Group. Help advocate for mental health by becoming a Field Advocate! Posted on March 20, 2019 by Ambassador ShulandaPosted in Advocacy, Holiday Blues, Mental Health, UncategorizedTagged advocacy, AFSP, crisis, DBSA, field advocate, mental health, mood disorders, SAD, spring, stress.